Can I keep My Will And Trust Documents Private During My Lifetime? There may be a variety of reasons that many people want to keep private the plans they have made for the distribution of their property after their death. Once someone has decided who she wants to leave her assets to after she passes away, she may be worried about other people finding out and reacting negatively. Alternatively, privacy may be a concern for a private person who simply does not wish to have his will and trust documents publicly available during his lifetime. In most cases, trust documents and wills do not have to be filed in a court during the lifetime of the will maker or grantor. You can keep your documents in a drawer at home until your death, although you should probably keep them in a fireproof safe, and they will still be valid if there are no other legal problems regarding how the documents were drafted or signed. Upon your death, the will has to be filed in a court, although not necessarily to go through a long probate process. Some trust documents never have to be filed with a court, unless there is a dispute as to the terms, there is a claim for debts owed by the grantor, or unless there is some disagreement over whether a provision in a will or other document takes effect over a provision under the trust. Some transfers made during your lifetime do have to become public. For example, if you transfer real estate to another person, or to a trust, the transfer may become public knowledge because, in most cases, real estate records are publicly searchable. People who try to keep the provisions of their wills private because they have disinherited some family members should keep in mind that there are certain family members that cannot be completely disinherited under the law. This usually applies to spouses and minor children. If you are considering disinheriting some family members, it is best to discuss this with an experienced attorney to ensure that your will can be followed after your death. It is also important to note that the terms of a person’s will cannot be contested while the person is alive. Therefore, even if your family members found out about being left out of your will, they cannot challenge it during your lifetime and take you to court over it, or try to legally make you change the provisions of the will. While this may not be comforting because the will can still be challenged later, it can give you peace of mind knowing you do not have to go to court over your will during your lifetime. If you have concerns about other people finding out the contents and provisions of your will or trust while you are alive, contact us for a consultation on how to handle drafting and properly securing your documents. 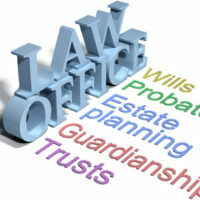 We can also advise you more generally on your estate planning specific to your needs. For more information, contact our experienced estate planning attorneys at the Millhorn Elder Law Planning Group located in The Villages, Florida.